Another year is in the books and it is time to kick off the 2014 automobile show season with the event that starts the debut and sales cycle all over again ... the Motor Press Guild hosted Press Days for the LA Auto Show. 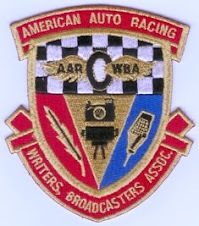 MOTOR PRESS GUILD NAMES CAR OF THE YEAR FOR 2013 - L A AUTO SHOW (YouTube) - Motor Press Guild Names 2014's Mazda3 And Chevrolet Corvette Stingray Winners of its 2013 Innovation Vehicle of the Year Award. Winners Announced at the LA Auto Show's MPG Motoring Invitational presented by Forza Motorsport 5 and XBOX One. This edition has a few design and booth highlights of note that include the bringing forward of a radically artful concept body design to the streets (if this ever happens, it is usually toned way down), a second look at mid-century luxury design in a hard top two-door (that had a dealer from Valencia, California chanting to the designers at the booth to "JUST BUILD IT"), a full 3-D car sculpture not intended to advance automobile design on the road but on the HD screen of a game console, and lastly, an artful booth presentation that featured two string instrument performers (violin and cello) playing classic rock-n-roll hits from Guns and Roses to the Doors. 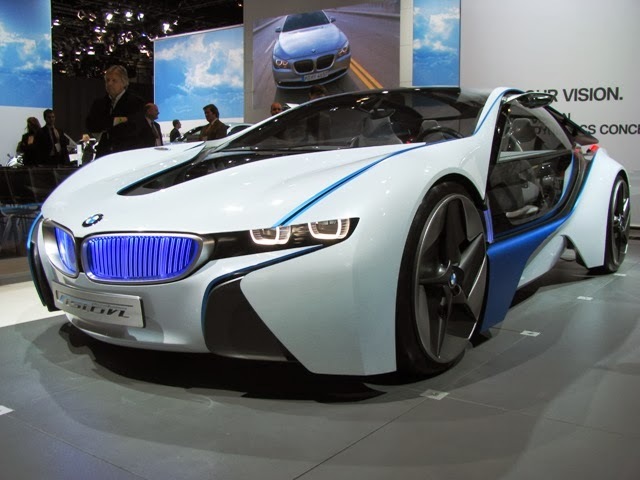 BMW introduced a radical concept body design at the LA Auto Show a couple of years ago that became a bit of a signature, but no one thought this sculpted approach would ever see the pavement of the stree of the light of the sun until the announcement of the new BMW iDrive. Cadillac has been flirting with design in a different direction - away from the radical arch around a wheel element - to the simplicity of American mid-century modern inspired design (first shown a couple of years ago with the Ciel Concept, pronounced “C-L,” the French word for sky, a four-seat convertible) that is seeing a strong revival in homes, furniture, and now ... cars. A modern update to the classic format of a two-door grand coupe, Elmiraj Concept provides a look inside the Cadillac Studio/North Hollywood to see how the designers envision performance and luxury for the next generation of luxury drivers. The long dash-to-axle front profile, a Cadillac signature, gives the coupe a performance-oriented form. The long wheelbase and clean bodyside characterizes the car’s spacious dimensions and elevated status. An interesting observation at the stand was that this Elmiraj Concept display was directly across from the Bentley booth with all of their well-over $100,000 to $300,000-plus cars and most everyone who stopped to take in the view, had their backs toward the Bentley display. Mercedes-Benz design in Sunnyvale, California used the occasion of the LA Auto Show to dazzle attendees with a full scale creation of a digital car, AMG Vision GT Concept, that will be featured as a supercar in the Gran Turismo 6 video game. The really tragic thing, other than the obvious time and expense put forward on this artful motor culture display for just the promotion of a video game, this particular AMG Vision GT Concept will never see the light of day or a street ... it is not a car. "This is the future of Mercedes-Benz design," Gorden Wagener, vice president for design at Daimler, said as he introduced the car at the Los Angeles Auto Show, where Motor Press Guild hosted Press Days began on Wednesday, simultaneous with its unveiling at the Tokyo motor show. "This car, or elements of it, will make its way into production." KIA used its stage to introduce the world to its new full sized K900 four-door sedan. In the lead up to the presentation, however, the Press Days attendees were treated to a rather sublime concert of very hard rock songs with the twist of being performed with the delicate tones delivered through a violin and a cello accompanied by a slideshow of iconic images of California (from the Golden Gate Bridge to Griffith Observatory) that was projected through a very wide landscape format jumbo-tron with the image first projected in Black & White then fading into a Full Color version. The Korean automaker unveiled the all-new K900, a large sedan that will offer the space and trappings of German land yachts, while undercutting their prices by tens of thousands of dollars. "This is our boldest statement yet," said Tom Loveless, executive vice president of sales for Kia. "It's a true flagship sedan that symbolizes how far we've come, and we believe it will make you question everything you thought you knew about Kia." Of course, there was more ... much, much, more ... but all one has to do to get a look and feel of the beginning of the automobile tradeshow season is just attend the LA Auto Show which runs from November 22 - December 1, 2013 at the Los Angeles Convention Center in downtown LA! At Mazda, “Never Stop Challenging” isn’t just a catchphrase, it’s a company maxim. 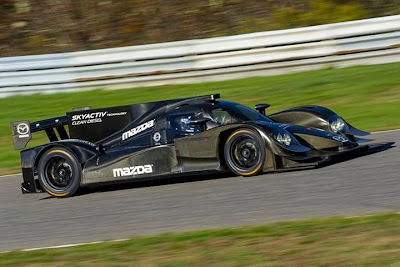 After nearly two years of planning, Mazda Motorsports will field a pair of factory-backed SKYACTIV-D Smart Diesel-powered racecars in the top Prototype Class for the 2014 TUDOR United SportsCar Championship (USCC), beginning with the Rolex 24 at Daytona on January 25-26, 2014. This is a major step up for Mazda, having won the 2013 Grand-Am GX Manufacturers Championship. 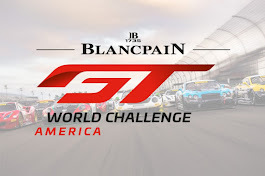 Mazda will be challenging for overall race wins against the toughest sports car competitors in North America. Long-time racing partner SpeedSource Race Engineering, the team that oversaw Mazda’s GX-class championship in 2013, will carry responsibility to develop and run the cars on track. Additionally, Mazda also is in discussions with customer teams interested in the prototype class, as well as teams interested in developing the championship winning Mazda6 into a GT Daytona class car. As part of its challenger frame of mind, Mazda is the only OEM racing with a diesel engine. The SKYACTIV-D Smart Diesel race engine is a true production-based engine and a carry-over from the development work done with the Mazda6 GX-class racing cars. The engine is 51 percent stock by parts count, and 63 percent stock by weight. Mazda chose this path as it is the most honest way to demonstrate the performance, quality, durability, and reliability of Mazda powerplants. 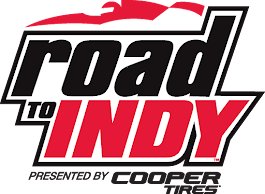 Driver line-ups and team partners will be announced at a later date. The cars will make their first public appearance at the “Roar Before the 24” test at Daytona, January 3-5, 2014. Carson Daly, the host of the extremely popular singing competition television show, and video production crew from KIA and The Voice, set up and shoot commercial packages of Carson accepting delivery of a special RIDES Magazine edition of the KIA Soul transformed for The Voice. The video shoot was set in the Universal City Walk 'Towers' stage area right next to the Hard Rock Cafe's over-sized Eddie Van Halen, red, black,and white stripped painted guitar sign. The name of this Kia says it all: Soul. With NBC's The Voice inspiring so many talented people to sing their hearts out and bare their souls through music, this car represents the sheer talent needed to perform in front of a live audience and millions at home. RIDES magazine customized the exterior with a bright red, adding a black and white airbrushed The Voice logo on the side, incorporating vinyl on the window portion, as well as the inspiring words "I Want You" illuminated in the lower grille, along with the LED puddle projectors. In order to perform under pressure, 20-inch three-piece Niche Scope wheels color-matched to the vehicle, coupled with Falken tires, add style and confidence. The four replicated coaches' chairs are the highlight of an interior that is decked out in red leather, black suede and red stitching. Control the "I Want You" logo with the red button on top of the dash. 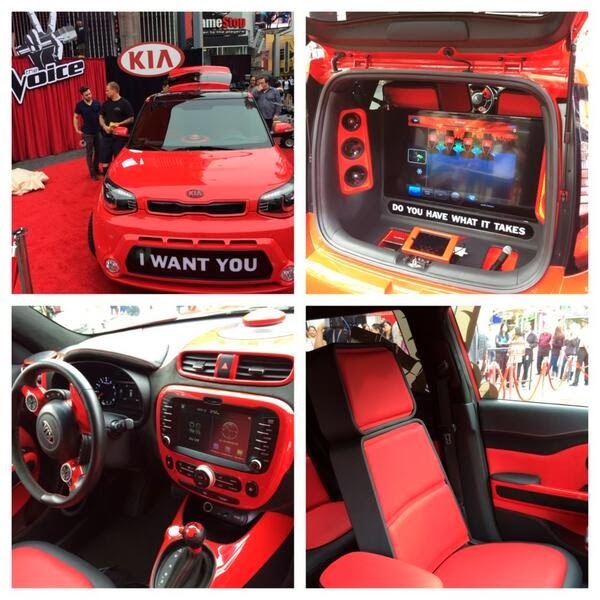 Using a unique platform such as The Voice to become a star requires practice; luckily, an iPad®2 Mini connected to a 40-inch LED TV allows you to use the preloaded The Voice app and sing at the top of your lungs through the wireless microphone, amplified through Rockford Fosgate speakers in their fiberglass custom pods. It's time to rock the Soul on NBC's The Voice!